The Santa Barbara Airport is conveniently located near Goleta's hotels, restaurants, attractions, and beaches. It is the Tri-County region's "Airport of Choice". 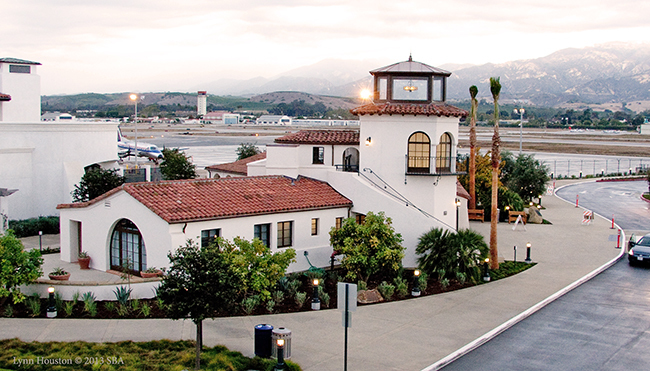 Santa Barbara Airport is dedicated to be self-sustaining, exceed expectations for safety and quality service, and meet the air transportation and economic development needs of its customers and partners. Choose from Alaska Airlines, American Airlines, and United Airlines operate for direct flights to Seattle, Portland, Los Angeles, San Francisco, Dallas, Denver, and Phoenix.